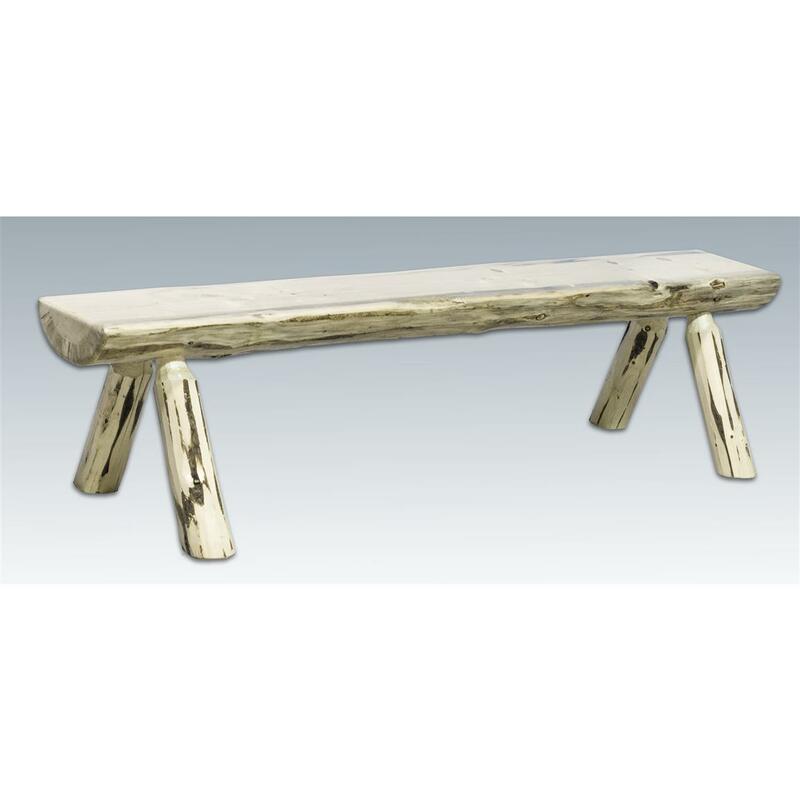 Montana Woodworks® Half Log Bench. Natural beauty that spans generations! Made from heirloom-quality unspoiled pine, perfect for the foot of the bed or a night around the campfire! Beautiful Benches from Montana Woodworks® feature all environment-friendly "standing dead" pine construction, hand-peeled for natural texture and color contrast. The Benches come with Montana Woodwork's own high-quality 3-coat clear lacquer finish. It's up to you... order ONLINE today!